1. Log into your Webmail by visiting mail.yourdomainname.ext. Enter your username and password for your mailbox, and then click the Login button. Note: Substitute your actual domain name for yourdomainname.ext. For example, mail.webmailsupport.com. 2. 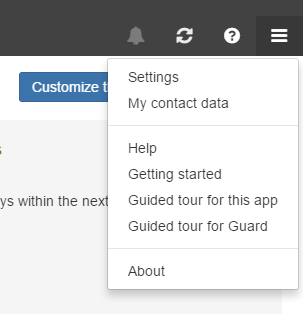 In the upper right corner of your Webmail application, click the Menu button. Then click Settings. 3. Click Mail to expand the options, and then select Junk Mail. 4. 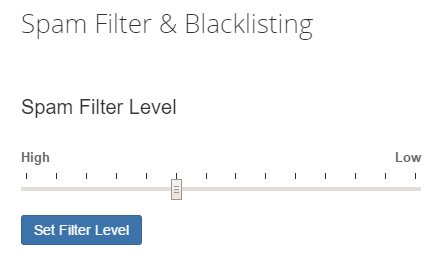 In the Spam Filter & Blacklisting panel, change the spam detection levels for your mailbox. To block more messages from your Inbox, drag the slider closer to the High range. These messages display some characteristics of spam but would usually be delivered to your Inbox to prevent false-positives from being blocked. To allow more messages that carry spam characteristics into your Inbox, drag the slider closer to the Low range. 5. Click the Set Filter Level button to save the detection-level changes. You have changed your spam sensitivity levels in Webmail. How Do I Add Addresses to My Blacklist or Whitelist (Safelist) in Webmail? How Do I Change the Password for My Email? 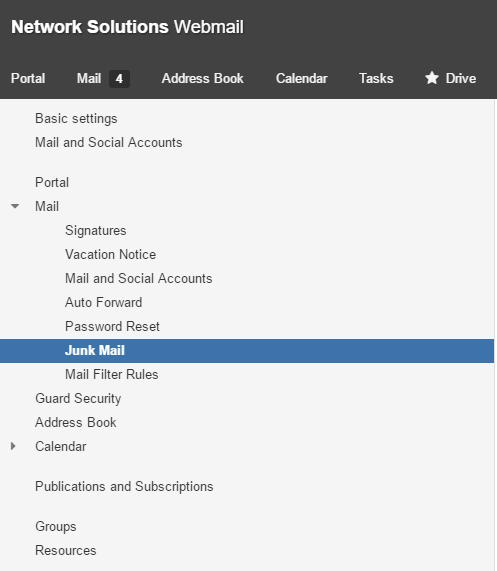 How Do I Enable Email Forwarding for My Mailbox?